Home renovations are difficult and time-consuming projects, regardless of how old the structure is, but renovating a house that requires historic restoration as well adds challenge to the process. 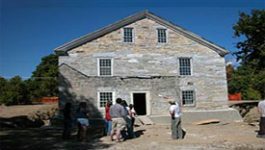 If you have never worked on a historic property before, there are many important considerations to keep in mind before starting this lengthy but rewarding process. 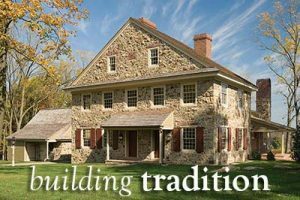 For historic projects, it is definitely worth it to take your time to find a contractor or architect that is a perfect fit. 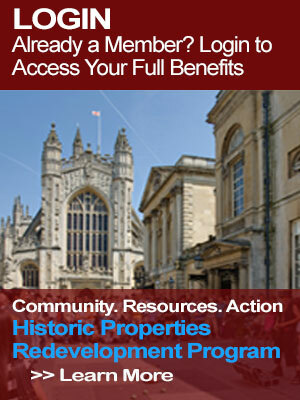 Look for firms that specialize in historic restorations, or who have successfully completed them in the past. Most contractors will have fairly extensive portfolios online, and a thorough browse through these portfolios should give you a good idea of the types of projects they gravitate towards. Once you have compiled a short list of contractors/architects who are potentially suited to your home, meet with them to discuss your ideas. Take your time and ask questions to get an understanding of their expertise before making a commitment. Historical projects may require a specific knowledge or skill set that can be difficult to find, but keep looking until you meet the perfect fit. Identify your needs as a resident. Before sitting down to make a plan for your home renovation, determine what features you personally need in the house to be comfortable and happy. This can be anything from natural light in certain rooms, to a fireplace or pool, to a modern bathroom or kitchen design. You should also have a general idea of what you would like the house to look like, and if there are any materials you prefer to use in the renovation. Make a list and bring it with you to your first consultation. If your architect has a solid idea of your priorities and your vision for the home at the beginning of the process, they will better be able to execute a successful renovation. Set a budget and timeline, and stick to it. You may have extravagant dreams for what you would like your remodeled home to look like, but money and time constraints will likely limit what you can realistically achieve. 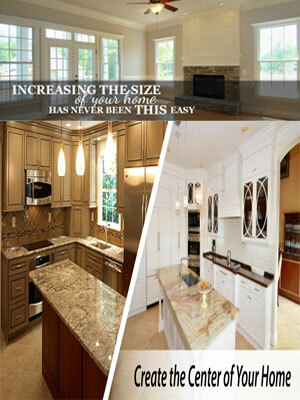 Set a detailed budget at the very beginning of the restoration process, and try to follow it as closely as possible. Unforeseen events can force you to go over your budget as the restoration goes on, so you will need to plan for this. If you choose to go over budget by adding unnecessary features, you may not have the funds available to deal with problems should they arise. The same applies to a timeline. Talk to your builder about what is realistic for the scope of your project, considering many factors including the availability of labor and supplies as well as weather in your area. You should also consider your town or city’s historic landmarks commission if applicable – they may have specific requirements that you need to follow for a restoration. With all of this in mind, set a schedule with your contractor, and then let them work. Too many interruptions mid-restoration are not only irritating, but can also impede the success of the project. 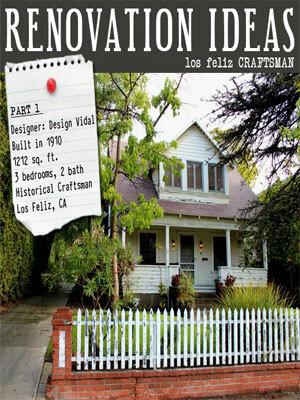 Even the most charming historical homes likely have aspects that need updating. Go through every detail of ownership with your contractor, and decide which features must be updated, and which should retain their original intent. Generally, aesthetic features like the facade of the house or indoor structures like staircases and windows look best with an accurate restoration, while things like bathrooms, kitchens, or dens may need to be updated to accommodate modern technology. It is also necessary to consider the house’s plumbing, heating/cooling, and electrical systems as a whole, and have them assessed by a specialist if appropriate. It is often easier to replace or update these systems during a renovation than to have to fix them later if problems start to occur. It can also save you money in the long run, as a new system may be cheaper than having to constantly repair one that malfunctions. 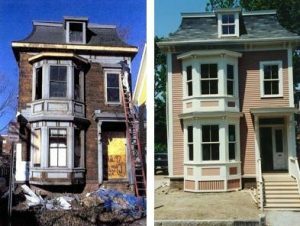 Restoring a historical home can be very overwhelming, but the process is very rewarding in the end when you have a beautiful, one-of-a-kind space to live in. It can be helpful to look for inspiration online, or to talk with your contractor about your concerns if you are feeling stressed. Remember that you are transforming a piece of history and putting your own stamp on a property that is special to you. 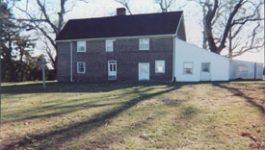 By considering all of the factors discussed here, and talking through the process with your contractors and architects, you will be able to put together a successful renovation plan for your historical home. Sixty years ago the New Hartford Historical Society was established to preserve and document the history of our town.